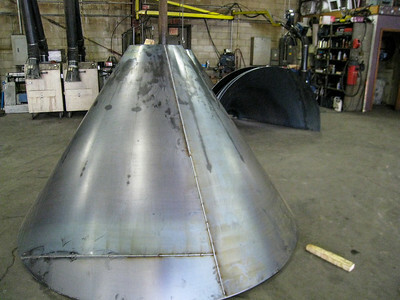 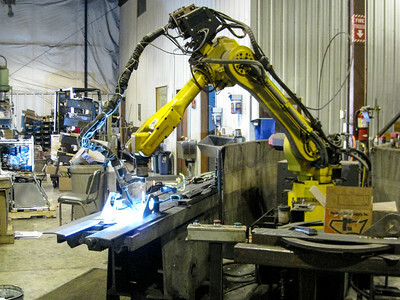 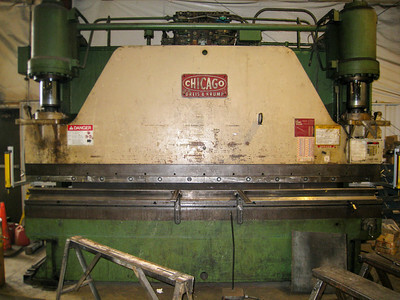 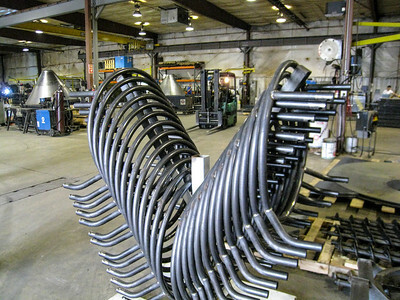 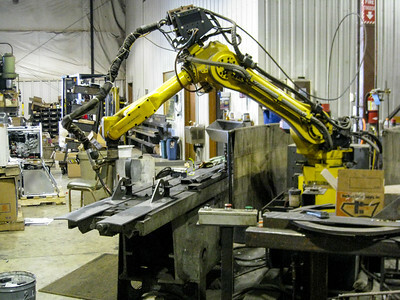 Design and Fabricating Inc. is a custom metal fabrication shop in Cokato, MN, just west of the Minneapolis area. 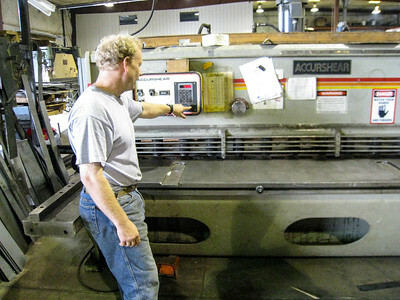 It is owned and run by our cousins, the Keskey's. 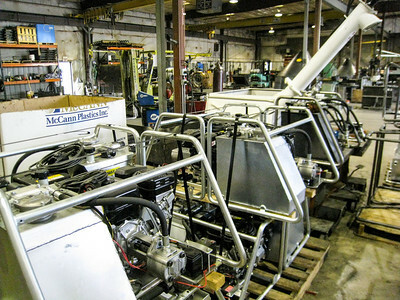 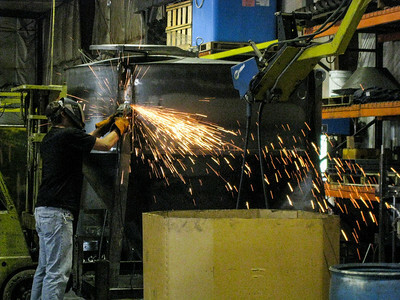 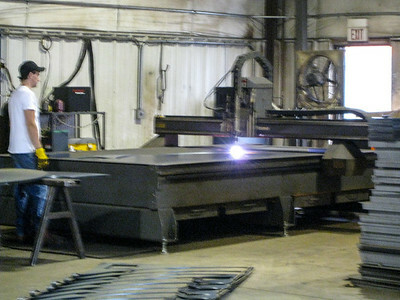 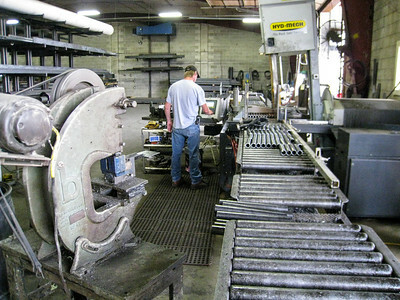 These photos were taken in July of 2008 with a Canon point and shoot and provide a view of the fabrication shop and some of the metal fabricating capabilities of their operation. 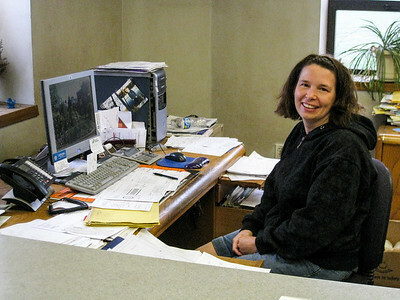 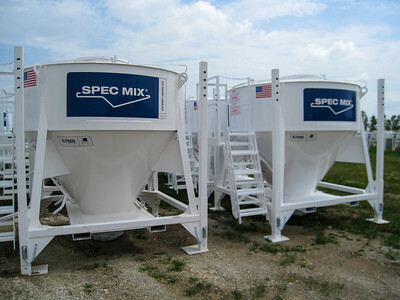 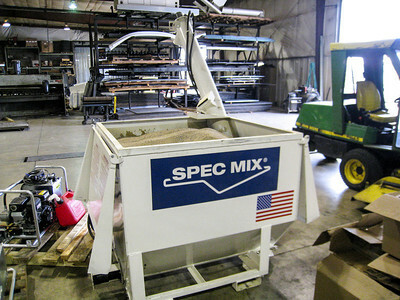 The primary projects in the shop at the time were silos for Spec Mix. 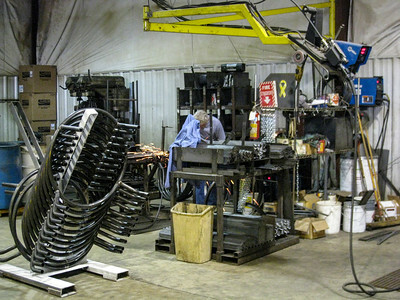 There are two shops, one for fabrication and a second for painting. 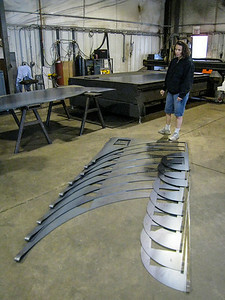 Sarah (Keskey) Rufer, office manager, of Design and Fabricating Inc.
Sarah stands by scrap from parts cut for the silo cone. 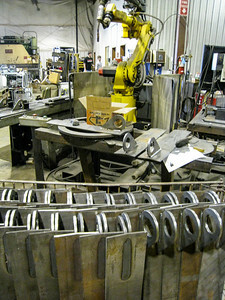 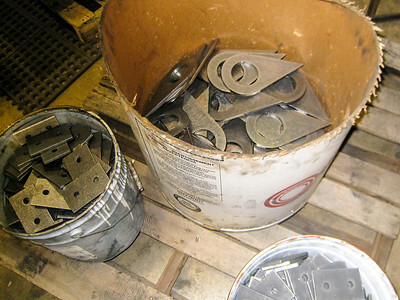 Small brackets are also fabricated. 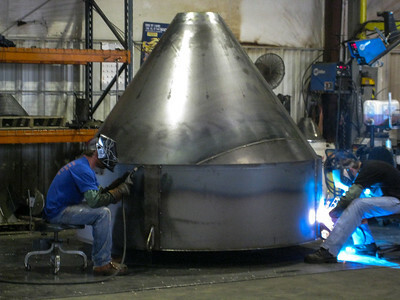 A nearly finished silo will soon head to the paint shop. 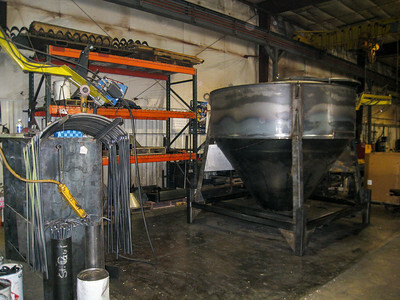 Finished silos fresh from the paint shop.